Payment gateway market value is estimated to cross $1 Billion in the next five years. In this new era of technology, e-commerce along with online shopping has become a crucial part of our day-to-day lives. 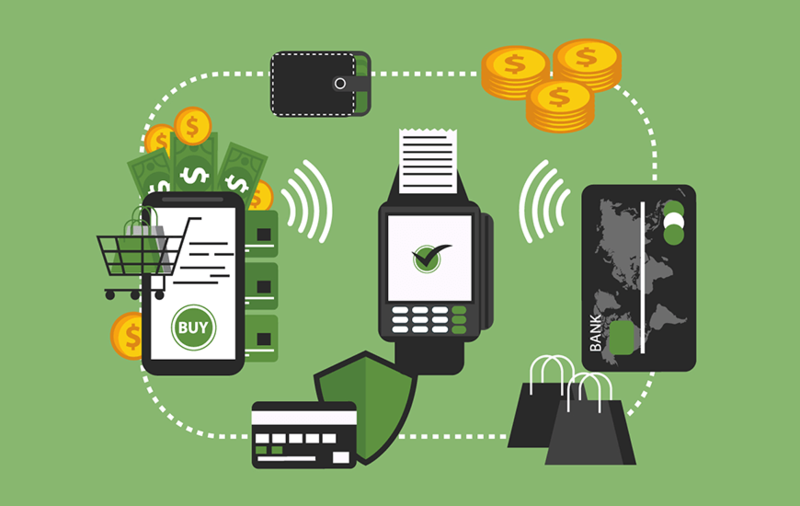 This way, the key reason behind the idea to integrate payment gateways into mobile apps. With the feature of payment system gateways, the users can quickly pay for their good and services online. It includes paying for electricity bills, booking plane tickets and many other services. The integration of payment system gateways has now transformed into a feature that a majority of mobile, as well as web applications, include which is one of the many reasons why you shouldn't underestimate the role of payment gateways in businesses. Keep on reading if you want to know about the other reasons. Just a couple years back, the credit cards were considered to be the most convenient form of payments and now we have options like net banking and online payment system at our disposal. And all of this has become possible because of the integration of payments gateways in our mobile apps. If a user wants to purchase a product or service through the means of an application, then payment gateway services are your only option. But in this procedure, there is a mediator involved in between the transaction, that the user wants to perform with the financial institution, i.e., a payment system/processor. The involvement of a mediator is significant because due to the security reasons involved in the direct interaction between the payment processor and the mobile app. If you are in the process of developing an app that involves some money-related operations then this is the article for you. To overcome security measures, a security element is used by the payment gateway services. This element also uses encryption to make sure that the processing of sensitive information is protected. Payment gateways are a fantastic facility, especially for online businesses that make the payment procedure efficient and straightforward. 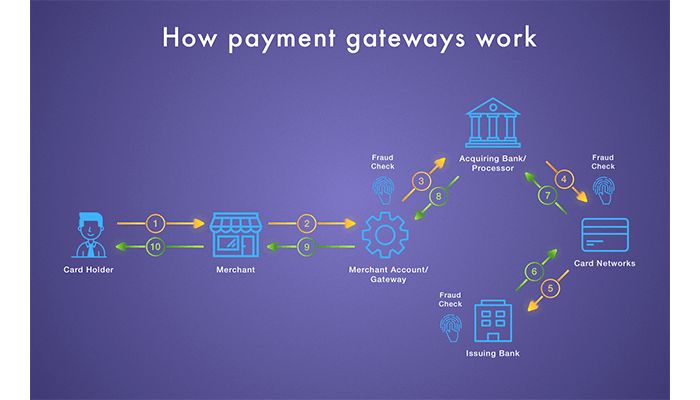 One of the mandatory requirement to use the payment gateway service is a stable internet connection so that the end-users can utilize this digital service. Along the process, a user is asked about filling their credit card or debit card details either before making a purchase or after placing the order of that particular product/service. Initially, the information is sent to the mobile payment systems which are then transferred to the bank where the debit/credit card is from. When the bank receives the information, then it syncs the data with the MasterCard and Visa requirements. The main aim of the payment gateway system is to verify that if the user has raised a genuine request for a purchase or not. So, if the user's purchase request is verified from the bank, then it is directly sent to the merchant to authorize the request that is raised. Once this is done, then the transfer amount that is charged to the user is sent to the merchant's business account. 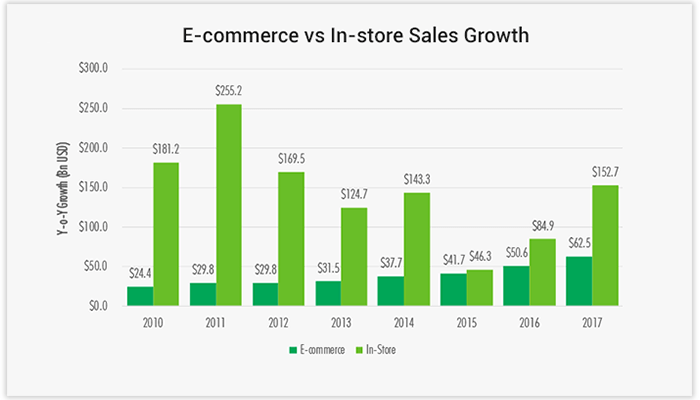 According to the U.S. Census Bureau report, the e-commerce retail sales increased by 16% to $453.5 billion in the year 2017; this report was released on February 16, 2018. PayPal has the ability for recurring of bills, executing a large number of transactions and mobile payments as well. The services of PayPal are available in more than 180 countries, and five different card types and 25 currencies are supported by it. This payment system gateway service is versatile as it consists of a wide range of account types with many features, for example, cheque scanning option. Pricing: The account generation is a free process in PayPal, but it charges 2.9% + $0.30c per transaction. Another thing that is worth mentioning is that the percentage drops with higher amount in the transactions. Braintree is particular when it comes to security; that's why it provides high-level protection services for fraud, and the user doesn't have to pay extra for the same. Recurring Billing with specific tools is another feature that is provided by this payment system gateway service for the mobile app. One of the best features of Braintree is a simple SDK that offers ease of use to the customer . This software development kit provides support for Windows Phone, Android platform, and iOS platform. Pricing: The transaction fee of Braintree is 2.9%+ $0.30 per transaction, but this is after the first $50,000 and along with this a $15 chargeback fee is charged. Unlike other payment gateway services, Stripe provides open channels for email support and a separate channel where the developers can interact and chat live with other developers. With Stripe, the user is allowed to migrate his/her credit card to their new payment gateway. This mobile app payment service accepts more than 120 different currencies including credit card, Apple Pay, and Bitcoin payments as well. Pricing: The transaction fee that is charged by Stripe is 2.9% + $0.30 fee but this is after the first $1 million, and then a $15 chargeback fee is charged as well. In Stripe, there are no contractual requirements to be filled. The services offered by Zooz are mainly focused on evolving concerning the data that is generated by the users' insights. It is a step forward to make sure that all transactions are completed successfully. As a payment system, Zooz is also a great time saver because it takes very less amount of time to get integrated into a mobile application. The user also has the option of saving their card details as a way to make the process more convenient. Another reason, customers prefer Zooz is that the screens are highly customizable and can be easily optimized with user's designs. If you want to read more about the development cost of an application, then don't forget to read our previous article on the cost to develop an app. Also, in case you are wondering about how to create a mobile app to accept payment, ahead of over to our ‘app development’ section. By integrating payment gateways, the user can accept electronic payments via a mobile app, which increases their ease of usage. Now, accepting payments from a mobile app has become a common phenomenon that has wholly melded itself into our daily activities. If you want to keep updated with the modern day App Development Timeline Practices, then all you need to do is click on that 'Subscribe' button so you won't miss any critical update from the mobile app industry.